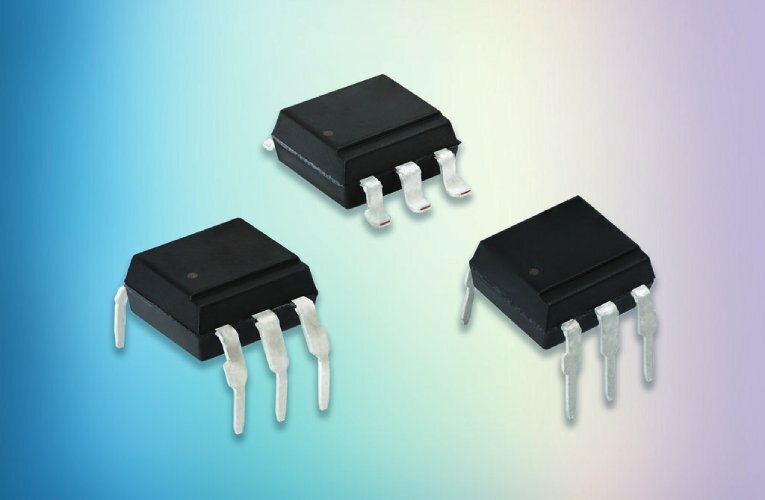 Vishay Intertechnology introduced two new series of optocouplers with phototriac output in compact DIP-6 and SMD-6 packages featuring high isolation distance on output. Offering high off-state voltage of 800 V and dV/dt of 1000 V/μs, Vishay Semiconductors’ VOT8025A and VOT8125A series deliver high robustness and noise isolation for home appliances and industrial equipment. These optocouplers isolate low voltage logic from 120 VAC, 240 VAC, and 380 VAC lines to control resistive, inductive, or capacitive loads, including motors, solenoids, high current thyristors, or TRIACs and relays. Reducing design costs and saving board space, the devices consist of a GaAs infrared LED optically coupled to either a zero-crossing TRIAC (VOT8025A series) for EMI reduction without the need for external snubber networks, or a random-phase TRIAC (VOT8125A series) to enable phase-independent switching.